So you are looking for a speaker that stands out? This Infinity Mirror Water Dancing Bluetooth Speaker fits the bill. It puts on a show as your music is played. 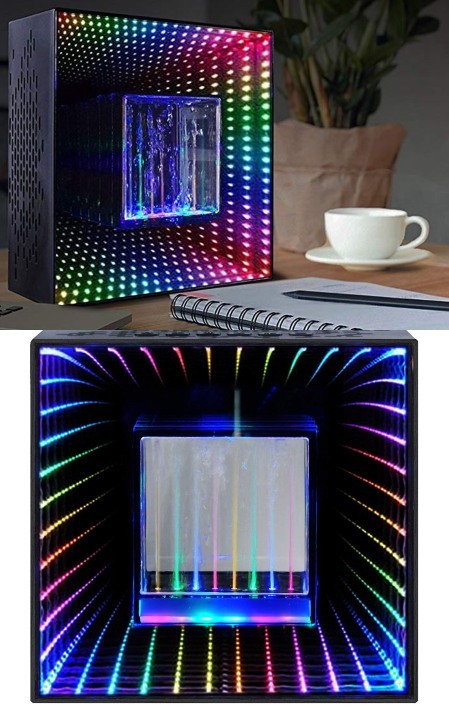 It has dual 3W speakers and puts on a mesmerizing infinity mirror light show. You get fountain window with eight water spray columns in addition to LED lights. Owners have the option to turn off the fountain and lighting effects. The Infinity Fountain 2.0 Stereo Speaker (AWD-69XBT) is available for under $50 at this time. More info is available here.